It’s time to get baking! 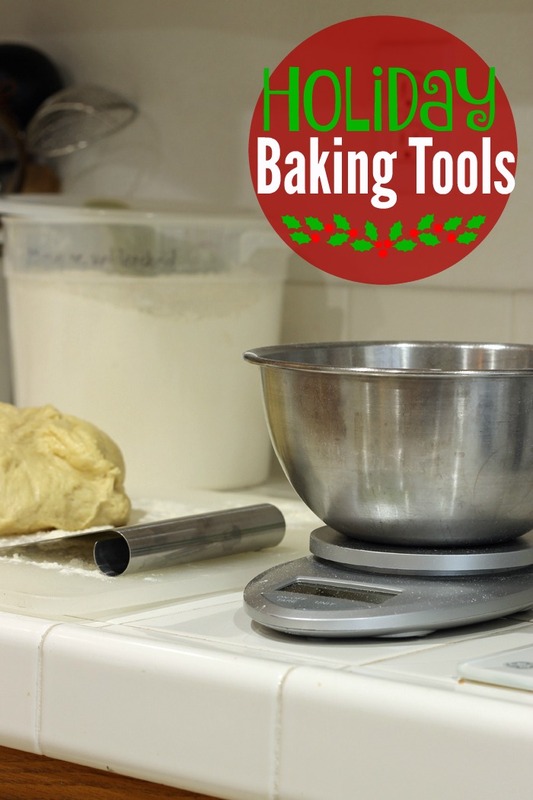 Consider these great holiday baking tools to make your holiday baking fun and easy! I look at Thanksgiving as a feat of great, savory proportions. While the pies are certainly important — we had Pretzel Berry, Slab Apple, and Streusel-Topped Pumpkin — the savory foods, like mashed potatoes, stuffing, and gravy, are kinda the big stars. But, now that Thanksgiving’s over, cookies are on my mind. I have no idea why, but that’s how things play out in the culinary order of my world. A feast with pie for Thanksgiving and simpler food food plus cookies for Christmas. Maybe for you it’s cake or quick breads or more pie. I can appreciate that. I think we can all agree that baking is the name of the game these days. And where there’s baking to be done, you need the right tools! 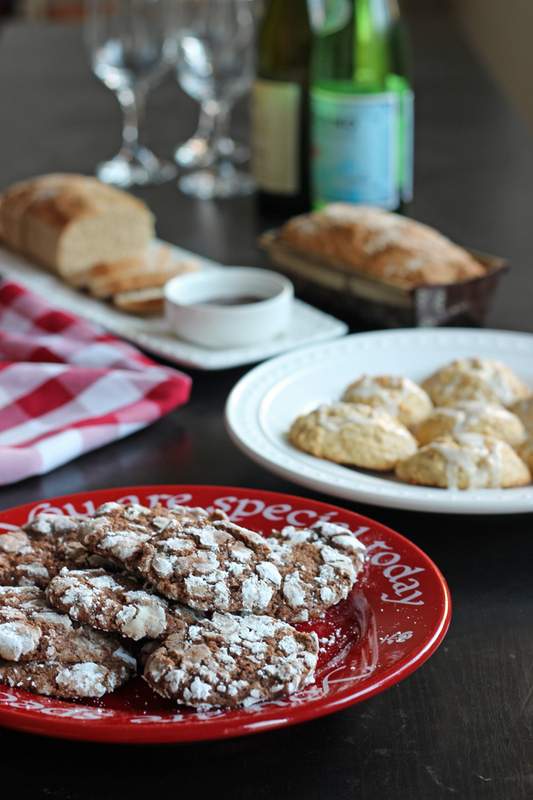 I’ve rounded up my top recommendations for holiday baking tools that will make your baking days fun and easy! Instead of worrying to count how many cups of flour for a recipe, I just do one math problem (4.5 ounces x # of cups needed) and then scoop until I get there. Weighing my flour is SO easy. I love it. I am lazy when it comes to kitchen clean up. I don’t wanna! When it comes to cookie baking, I don’t have to. Whenever possible, I line my baking sheets with silpat mats or parchment. This ensures that I can get the baked good off the pan AND spend as little time as possible scrubbing pans. True confessions: the silpats are more eco-friendly, but I really don’t wanna wash them. 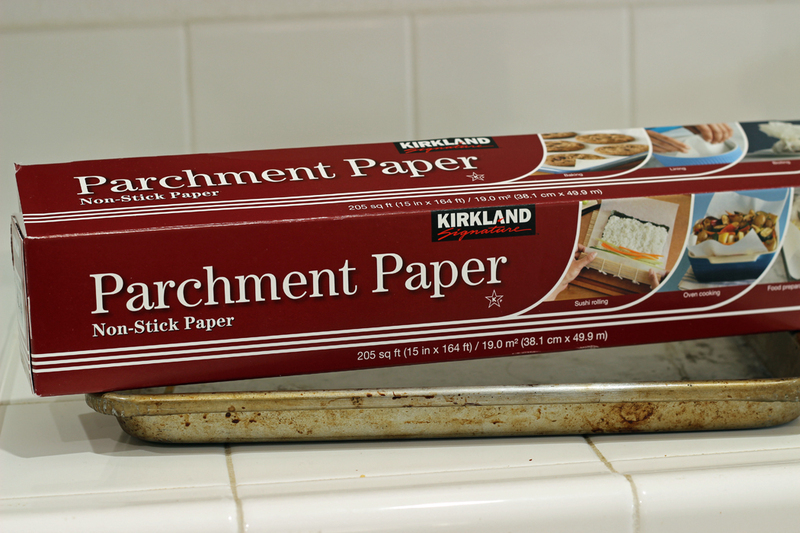 I lean on parchment these days. For years and years, I used too-small, cheapo baking sheets. They would always ping in the oven when they hit a certain temperature and produce inconsistent, nay burnt results in my baked goods. A few years ago I splurged on these sturdy sheet pans and I haven’t looked back. I love the size. It’s perfect for a dozen cookies or cinnamon rolls or a big batch of granola. Last year I invested in a USA sheet pan. I love it even more because nothing sticks to this pan. It looks as beautiful as the day I bought it. I’ve loved almost all the USA pans I’ve purchased. Good stuff! FishPapa bought me a Kitchenaid mixer about ten years ago. It took me about nine years to fall in love with it. When my third (or was it fourth?) bread machine broke, I decided not to replace it, but learned to love my stand mixer. This is now my go-to for bread and pizza doughs as well as cookie batter, tamale masa, frosting, and whipped cream. It gets the job done. That’s not to say that I don’t still love my hand mixer. I bought a Sunbeam like this one a few years ago and really love it. I use it for things like this raspberry coffeecake or quick batters that need a little more elbow grease than I can naturally provide. I love cut-out cookies. Love them. But, I haven’t always had great luck with beautiful cookies. My daughters may force me to break that fear, because they love artsy, craftsy, whimsical food. I get that. I do, too. So, though I shy away from too much in the way of cookie cutters, this Nativity Baking Set is one we bust out every year. It’s the one thing that all my kids love to do. Remember how I said I’m lazy about cleaning? Well, I’m lazy about cooking, too. That’s why I absolutely LOVE my food processor. I have two, but the one I use most often is the low level Cuisinart model. 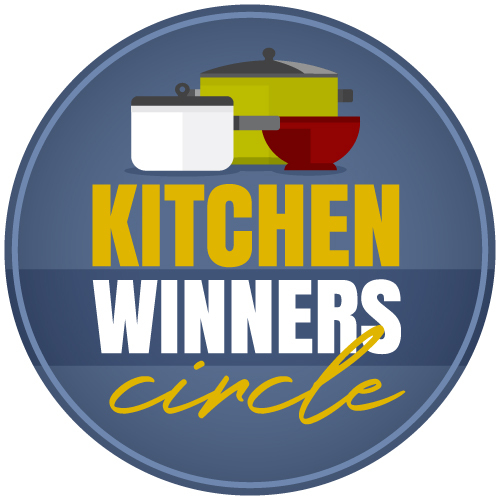 Awesome for making all kinds of things from homemade mayo to salsa to pie crust to cookie dough. This push-button style is also pretty handy. My kids are quick to tell me when there’s a lump of baking powder or spices in a baked good. Sifting helps eliminate this, thus the need for a sifter. 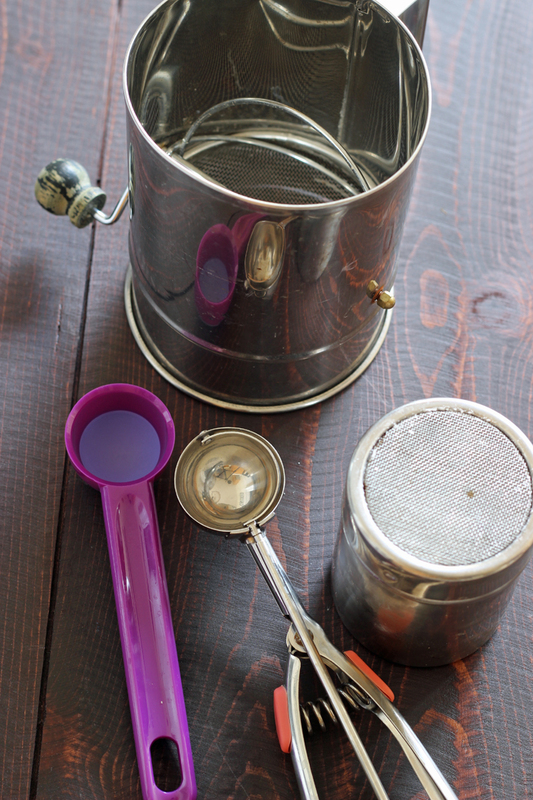 I have this type of old-school sifter, and it does the job. I’m sure there are fancier ones out there, but we’re good. We also have this kind of sifter with a cap which is super handy for decorating pastries. I use a bench knife whenever I need to divide yeast doughs. It also serves as a ruler as well as a lifter when you need to pick up and transfer scones and rolls to the baking sheet. I don’t use my rolling pin a ton, but it’s really nice to have when I want to roll out a pie crust, pizza dough, or cinnamon rolls. 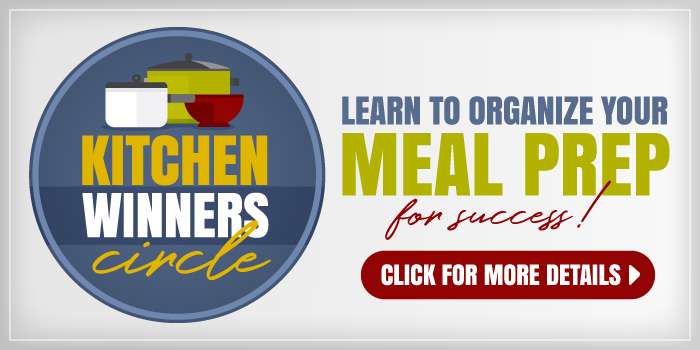 Binder clips are one of my unusual kitchen tools, but they are a necessity. I use them to close up ingredients packages but also to hold parchment in place while I’m preparing an item for baking. They are super helpful in the kitchen! 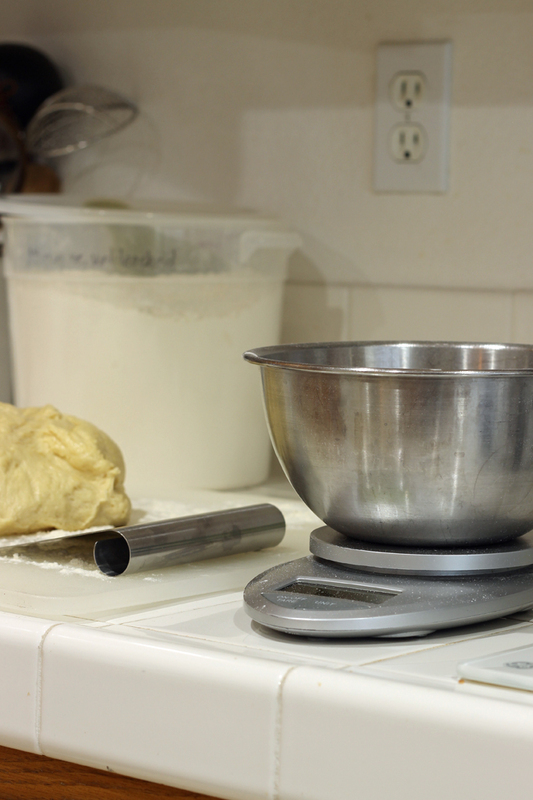 I use my mini tape measure all the time to make sure that my doughs are the right size for my recipe or that I’m using the right size pan for the dish. Maybe you’re good at eyeballing things, but I’m not. The tape takes out all the guess work. 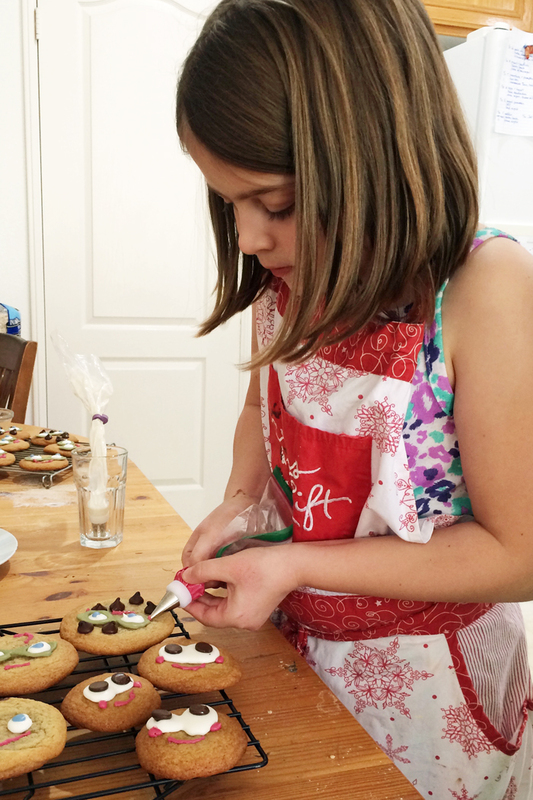 Last weekend the girls and FishPapa baked and decorated cookies with homemade royal icing. Yeah, they amaze me, too. I’ve always avoided the heavily decorated cookies because of the mess and hassle, but that didn’t phase the three of them in the slightest. I see a lot of piping bags in my future. I’m so excited to see where my girls take this new art form! 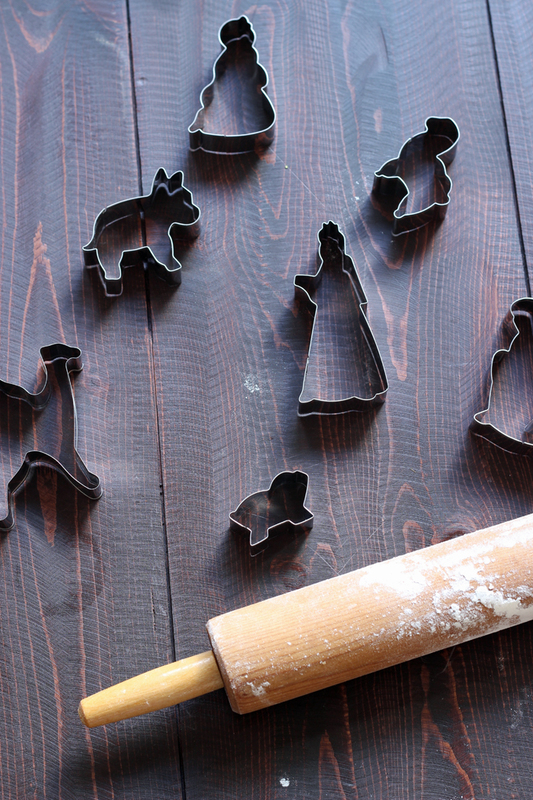 What are YOUR favorite Holiday Baking Tools? Five years ago, my husband bought me some William Sonoma baking sheets and a large cooling rack. I love them and use them for cookies all of the time. Nothing sticks to these pans! They are also a beautiful gold colour which feels very festive. I also love my stand-mixer. It allows me to multi-task in the kitchen – it can do the mixing, while I work with the kids on measuring out the ingredients. Good baking sheets are so worth it! You just reminded me that I need to replenish and replace some of my baking tools. Thanks for this awesome list. Christmas cookies are a big thing for me, too. I have great memories of making cookies at Christmas with my mom and/or sisters. We would take them to the various parties we had and give them as presents. I mix most things like bread and muffins by hand, but for cookies, I really like to have a mixer. I had to leave mine in my Kitchen Aid move, so I’m using a borrowed one for now. Since we were doing an international move & limited to suitcase space, all my kitchen stuff stayed there. I’ve put replacements for many things on my Christmas list. 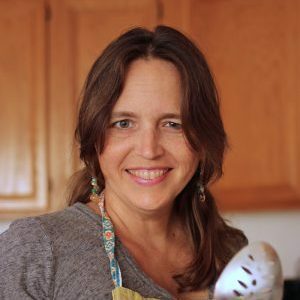 🙂 Things that I like to have are several sets of measuring spoons and cups, good cookie sheets, and various sizes for other baking like breads and bar cookies, cooling racks… I could go on & on. Baking is probably my favorite part of cooking. My daughter is a huge baking fan. It’s the sugar that I get hung up on. My two favorite baking appliances are my 20+ year old Kitchen Aid stand mixer and my Oster bread machine. Odd things that are my must haves are dental floss to cut cinnamon rolls and a laminate sample from Home Depot that I use to safely scrape off little hard bits of my counter after baking. It may seem so old school, but a wood spoon and a bowl can sometimes accomplish alot. I just made a dozen pumpkin muffins yesterday with only two tools. Clean up was a breeze! Totally agree on having good pans. I always had Wilton brand ones we would buy at their tent sale. But you replace them ofte , they warp and look gross. This past Easter target had Nordic half sheet pans on clearance so I snapped them up and am so glad I did. I had the warpy ones, too. Such a pain. Sheet pans rock.